You're buying a house. You're buying a house in Battersea or Brixton. So far, so good. But as you doubtless know, buying a house doesn't just mean putting down a deposit. Buying a house means forking out for solicitors' services, surveys, possible mortgage fees, Land Registry fees, removal costs, and of course, the dreaded stamp duty. But it is possible to cut costs and save money when buying a property. It will take a little more effort on your part, and a little negotiation and research, but this extra effort can save you hundreds even thousands of pounds when you buy your home. If you're going to need a mortgage, then you'll want to source estimates from around three mortgage lenders. You'll want to look into the fees and rate, and do your sums. It's always advisable to consider multiple mortgage options before arriving at a decision. It's never wise to just recruit the solicitor or conveyancer with the cheapest fees. You tend to get what you pay for. Establish what your needs are, and take on a solicitor or conveyancer who offers the right service at a price you can afford. Again, gather up a selection of quotes and compare before reaching a decision. 3) Do you really need to hire a removals company? If you're a family of four with plenty of furniture and a lot of heavy goods to move, then a professional removals firm is going to be necessary. But if you're young professionals moving into your first home with not too much furniture and plenty of willing friends, you may get away with hiring a van for the day and doing the work yourself. Always make sure you get rid of any superfluous items prior to moving into your new home, as this can make all the difference. Yes, a survey in itself costs money, but by commissioning a survey, you should save money in the long run. A survey is especially necessary if you're planning to purchase an older period property, as issues like damp, subsidence and structural weaknesses can be common. If the survey does uncover problems, this can be used to negotiate a lower price for the property, which could save you thousands of pounds. 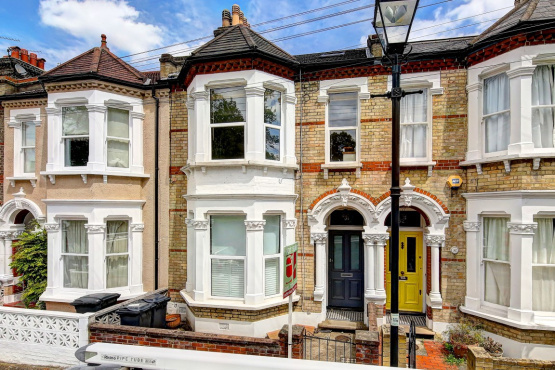 Are you looking for property to buy in Battersea or Brixton? Get in touch with us today.